Key Element Learning Exclusive provider of the Language Workshop for Children programs in Jersey City, NJ. The Language Workshop for Children was developed in 1973 and it is the number one choice, for both parents and children from all over the world to learn languages. 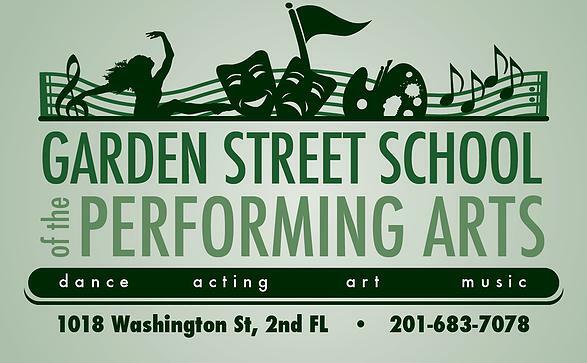 Garden Street School of the Performing Arts offers Dance, Music, Art and Acting Classes for all ages, styles and levels for children and adults. The Guitar Bar buys, sells, trades, and does expert repairs on all guitars. They also offer lessons for all ages and levels from the best teachers in the area. Lucie Goosie is a drop-off, open play space for moms who need a bit of time for themselves. They provide a fun space for your 18 mo. to 4 yr old to tumble, jump, explore, and PLAY for 2 hours each weekday. Offerings include 2 drop off sessions per day, as well as a 1-hr. specialty mommy-and-me class. 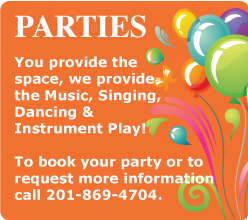 “Dance With Me” Dance Studio offers many different genres of dance. The studio teaches both male and female children age two to adult. 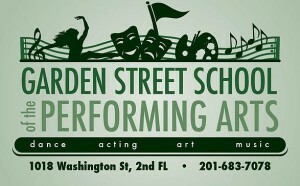 Our mission is to teach dance as an art, developing technique, discipline, expression, musicality, and style. If you are considering a career in dance, or just taking class for fun “Dance With Me” will be sure to provide you with the same professional care and attention. Customer service is our number one priority.